Dawson's Game and Trout Lodge provides guests exclusive Mpumalanga accommodation with a rich African colonial ambiance. 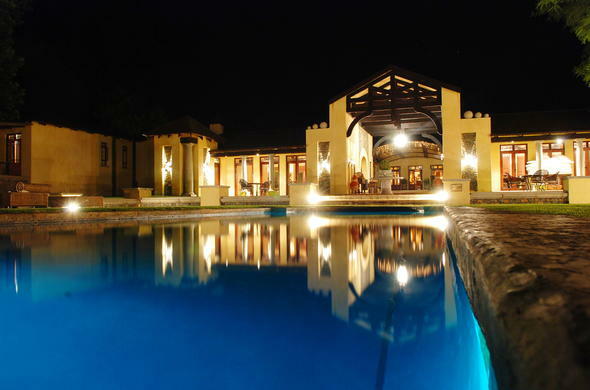 Dawson's Game and Trout Lodge is situated in the province of Mpumalanga, South Africa. This Lowveld area boasts dramatically different climates, flora and fauna. This Mpumalanga lodge boasts wide-open grasslands and mountainous bushveld teeming with herds of antelope. This child-friendly Mpumalanga lodge features luxury rooms, all individually decorated to create a rich colonial African ambiance. Each room has a full en-suite bathroom with a bath, spacious shower and heated towel rails. Curl up in front of the fireplace on cold evenings. Dawson's Game and Trout Lodge is also the ideal venue for the perfect wedding or conference. Two intimate lapas (thatched outdoor enclosure) are available for both weddings and conferences. A team building option is available for conferences.